For the first time, the world’s two largest greenhouse gas emitters have pledged to reduce carbon pollution. This is a game changer, writes Fred Krupp, president of Environmental Defense Fund, in a Wall Street Journal op-ed piece. The agreement between the United States and China will be a giant boost for clean-energy markets. Having the world’s two largest economies competing to accelerate the adoption of no-carbon and low-carbon technologies will send one of the most powerful market signals we have ever seen, Fred writes. China, spurred by its smog-burdened cities and the growing costs from the impact of climate change, will be increasing its already substantial investments in solar and wind, working with the U.S. on new approaches to cleaner energy and reducing the country’s reliance on fossil fuels. And America’s fears of competition from China may now be cast in a new, positive direction: Who will dominate – and profit from – the renewable-energy resources that will power the world’s low-carbon economy? In the past century, fossil fuels were the surest route to wealth and power. Now, the companies that produce and sell carbon-free and low-carbon technologies – from solar and wind to energy efficiency and nuclear – will be advantaged. And the U.S. must demonstrate that it is up to the task of competing with China in all of these areas, Fred writes. His full article is available to subscribers of the Wall Street Journal. 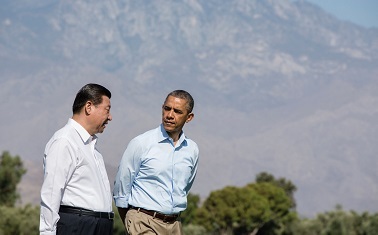 This entry was posted in Clean Energy, Climate, Renewable Energy and tagged China, President Obama. Bookmark the permalink. Both comments and trackbacks are currently closed.